While not everything that Fox puts on the air is worthy of returning to year after year, the network has had some big successes in the past TV season, at least with shows that don’t involve precogs or new versions of the Frankenstein monster mythos. The latest shows to get recognized for their efforts are the dark and devilish drama Lucifer and the medical drama Rosewood, as both received second season orders. Lucifer has become one of Fox’s biggest hits, despite early criticisms that the show wasn’t faithfully adapting its comic book source material, as well as multiple protests from parent groups about Lucifer himself being a main character. Viewers have been pretty devout for the freshman series’ first batch of episodes, though, as the show is averaging 10.5 million total viewers when Live+7 numbers have been added up across all platforms. It’s also doing pretty spectacular with the key 18-49 demographic, with a demo rating that’s constantly above a 2.0 . It ranks second in that category among Fox’s new shows, and has the fifth highest demo rating among all of broadcast TV’s new shows of the past season. A lot of that has to do with the dashing and cunning leading man Tom Ellis, whose presence is always welcomed. (As is Rachael Harris’ Dr. Martin.) There’s something fascinating about watching a reformed Satan attempt to solve crimes in Los Angeles, while also dealing with otherworldly problems that no one else on TV is going through. Speaking of charming leads, it’s hard not to constantly swoon when Morris Chestnut is doing his thang as Dr. Beaumont in Rosewood. While this half-procedural got terrible reviews prior to its premiere, some of the kinks have been worked out, and viewers have been keeping their appointments with the genius pathologist. Rosewood is being watched by an average of 7.8 million viewers when delayed viewing and multi-platforms are considered. Like the aforementioned Lucifer, this show also ranks highly in the key demo for new broadcast dramas, which boosted its episode count early in Season 1. There are still quite a few shows on Fox’s schedule that haven’t gotten any news about renewals or cancellations, such as The Grinder and Grandfathered. But the network has already put in renewal orders for lots of other shows like The Last Man on Earth and Brooklyn Nine-Nine, as well as freshman dramas Scream Queens and Wayward Pines. With three episodes left to go in its 13-episode freshman season, Lucifer airs on Fox on Monday nights. 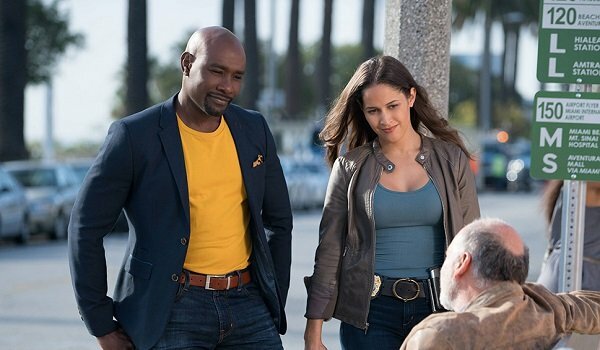 Rosewood, meanwhile, will wrap up its final two episodes over the next two Wednesday nights. Are you guys excited to see these dramas coming back later this year?